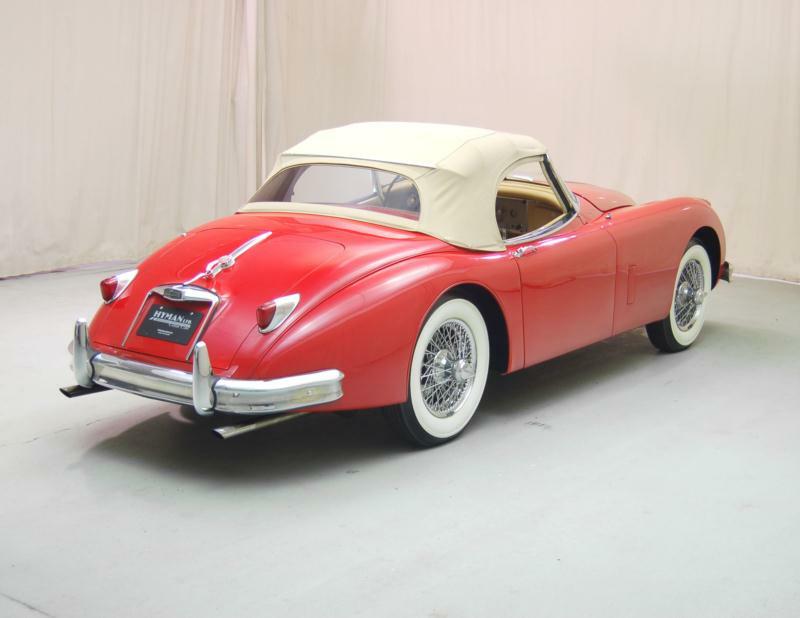 The final iteration in the XK series was the XK150, which was introduced in May 1957 as a 1958 model. 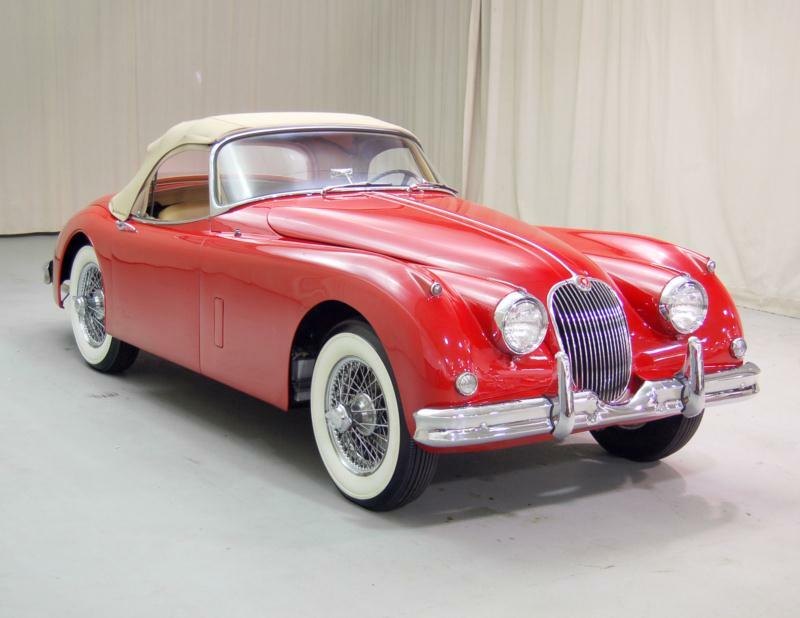 Although recognizably a member of the Jaguar family, it was wider and not nearly as swoopy as the earlier XKs, and the distinctive grill had a much more delicate appearance than its predecessor. 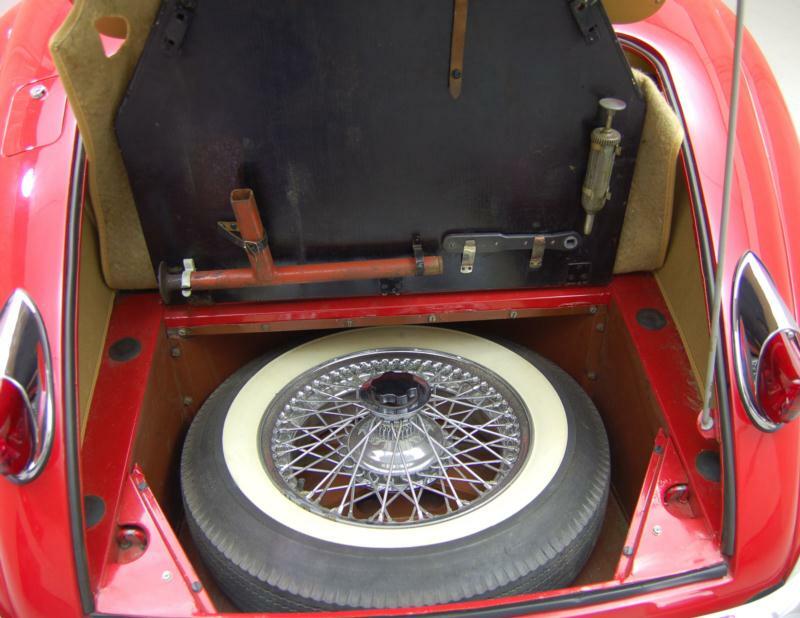 Although the chassis was carried over unchanged from the 140, standard equipment now included four-wheel disc brakes, which was a first for a car built in series production. 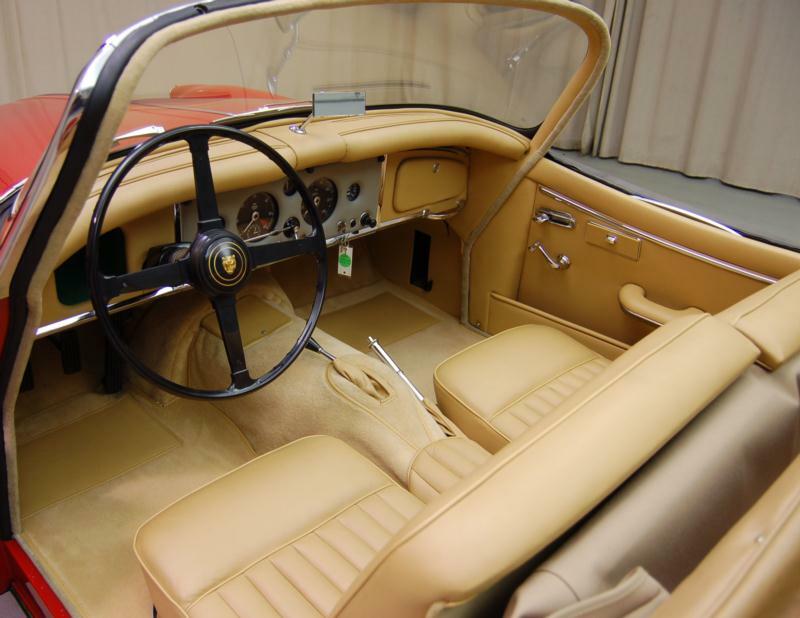 Initially, a convertible and fixed head were the only body choices. Under the wider bonnet lurked the familiar twin-cam, straight-six, which was almost as pretty as the car itself. The standard engine was rated at 190 bhp, but a 210bhp SE version was also offered. 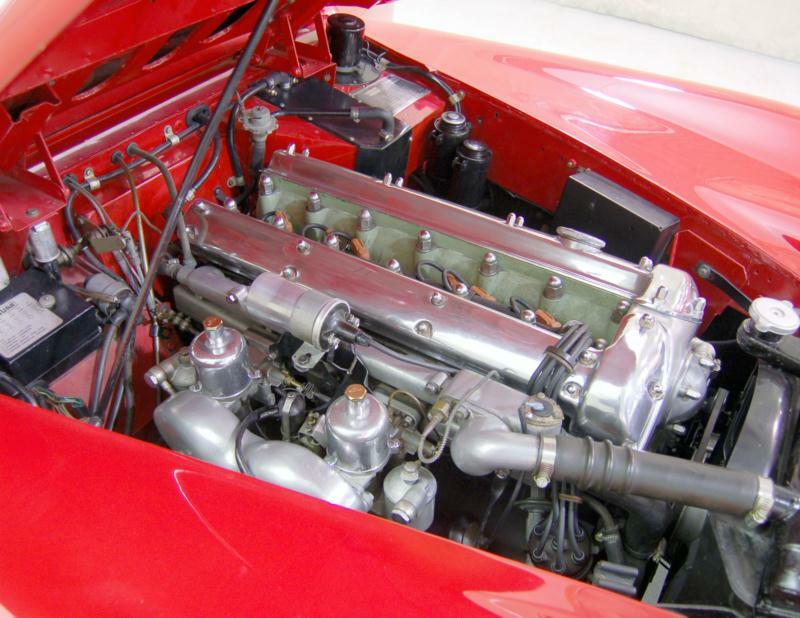 More power soon followed with the S version of the 3.4 liter engine, which breathed through triple SU carburetors to generate 250bhp. As before, the four speed manual transmission was offered with overdrive and a three-speed Borg Warner automatic was optional. 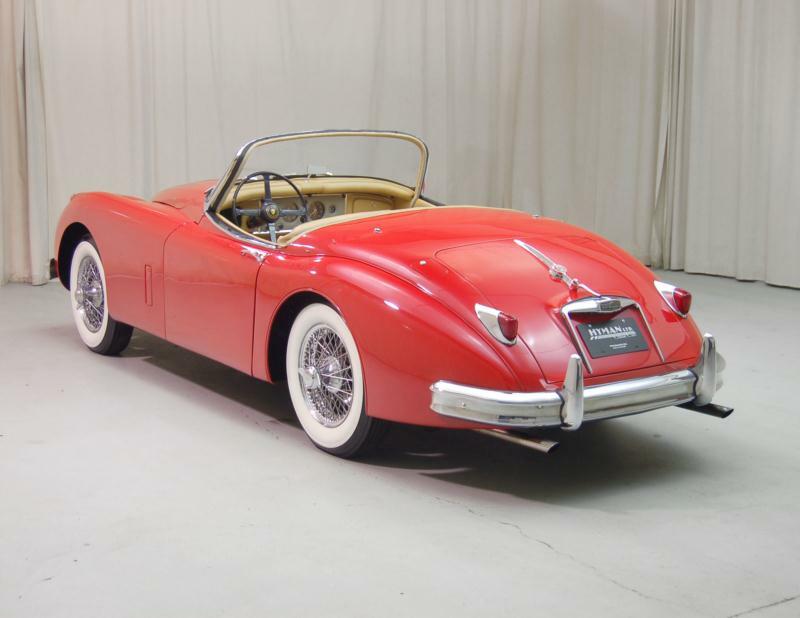 Later in 1958, Jaguar added a lighter roadster version to the line-up. Available in both standard and S versions, it had a sleeker appearance but still offered roll-up windows. 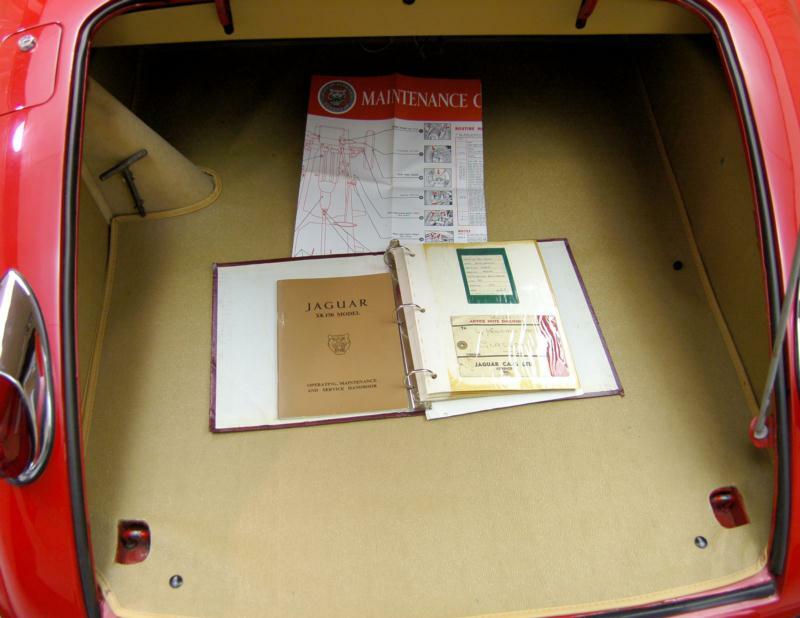 For 1959, the big news was a 3.8 liter version of the famous XK engine. Rated at 220 in standard guise and 265 for the S version, the big cat was seriously quick. 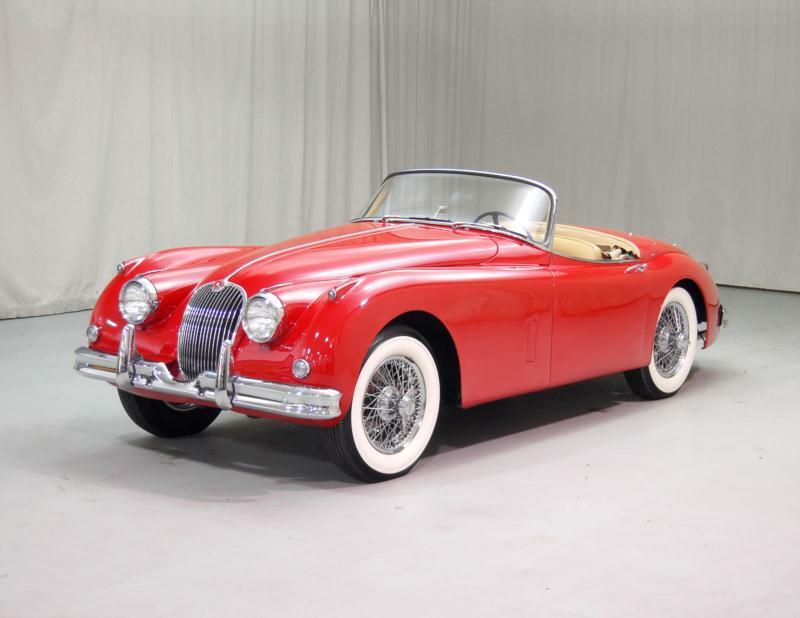 Many considered the XK150 a fast touring car rather than an out-and-out sports car, which is supported by the simple fact that the cars were seldom raced or rallied. Still, the 150 had enough appeal to sell 9,395 examples, of a car that cost close to $5,000 when production ceased in 1961. The car was a grand close to one of the most iconic sports car series of all time.